This window is used for choosing the required recipients for the Email message, from the lists of the email addresses of the Clients, Suppliers, Projects, Colleagues (Users) and Personal Contacts. Choosing Colleagues (Users). select Colleagues from the list or use the search field. 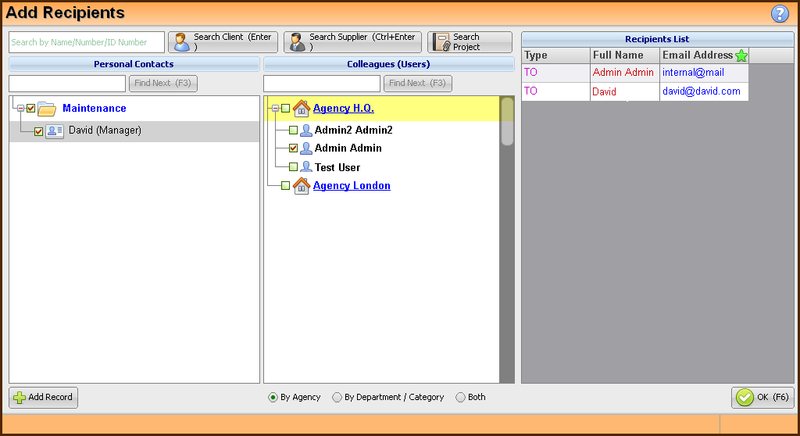 Right click on selected colleague, will suggest to send the message to the colleagues private Email Box. (As was defined in the employee card "Private Email field").